Grand Master: Fouad Fadoul, Grand Master of “Grand Cedar” Lodge and his assistants. Grand Master: Boghos Aramian, Grand Master of “Grand Lodge Of Three Stars” and his assistants. Grand Master: Ibraham Saraian, Grand Master of “Grand Sun” Lodge and his assistants. 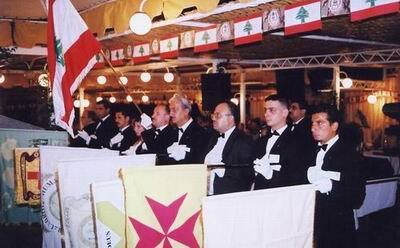 Vice Grand Master of “Lebanese Grand Lodge for Arabic Countries” Daher Dib and his assistants. Vice Grand Master Raymond Batanian. Vice Grand Master Hagop Jolfian. Delegate of “Grand Sun” Lodge Doctor Torkom Babazian. Grand Secretary of “Grand Sun” Lodge Ohanes Akalian. Grand Master of “ALInkaz N·3 ” Lodge Joseph Jabour. Vice Grand Master of “Holiopolis” Lodge Edwar Gattass. Vice Grand Master of “ALInkaz N·3 ” Lodge Toufic Trad. Brother Jean Abou Nahoum Legal Counselor of “Grand Sun” Lodge. First: To be united in a Unique East under the Name of Grand Lodge “Orient De Canaan” . 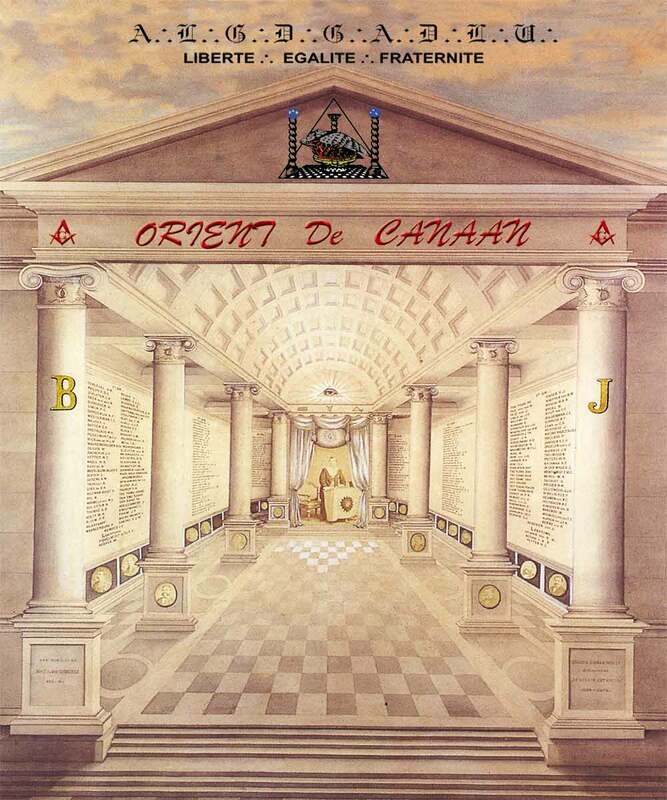 Supreme Council of “Orient De Canaan “ 33º for the Ancient and Accepted Scottish right . 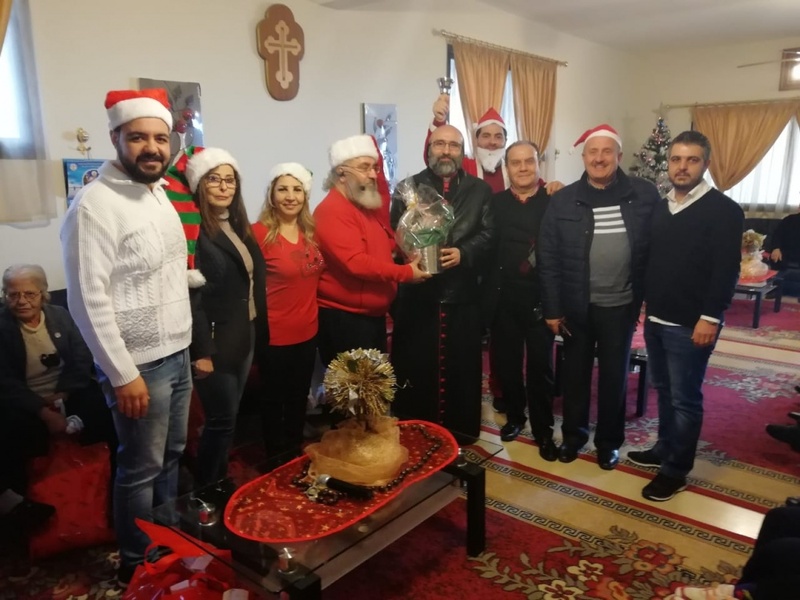 Second: To Work Together as one soul, one heart and one mind, to unify and bring together all freemasons under the sponsor of “Orient De Canaan”. Third: To swear the oath of good freemasons to raise the importance of freemasonry and get back with it to it’s original roots and to work as hard as we can for the benefit of our troop and God is our witness. Up all this, we have sweared in fraternity and love, and every traitor among us is a traitor and will be expelled from all the attendances.